Since its inception over 20 years ago, VetPlus has been the clear leader in its field and is well on the way to fulfilling the company’s owner; David Haythornthwaite’s original aim of being a global leader in veterinary nutraceuticals. Our continued focus on the quality of our ingredients and high quality products will continue to propel us towards further successes. But above all, research and development enables us to continue to produce a steady stream of new and innovative products, as well as improve upon our existing range. For this reason, VetPlus will always be dedicated to continually investing in our research and development department, allowing us to continually bring you the highest quality products. At VetPlus, we take our science very seriously. We were the first company to develop a joint supplement for dogs which became a market leading product. 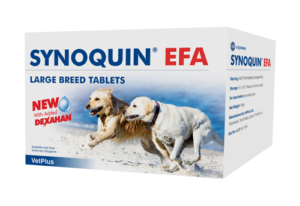 However we never rest on our laurels and as a result, we further improved the product to produce the market leading Synoquin EFA. Our team is constantly working to improve the taste, effectiveness and packaging of our products, as well as sourcing the best possible ingredients and from sustainable sources. These are just a few examples of the many success stories across VetPlus. 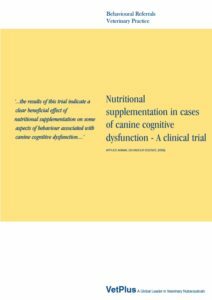 All of our products are developed using the latest evidence-based veterinary knowledge from peer-reviewed literature and clinical study data. 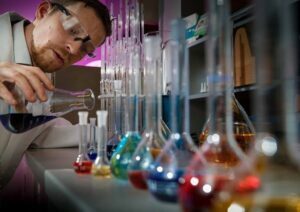 This way we ensure that we are providing the best products known to science. We maintain an active presence in the veterinarian community, even going as far as to employ vets, known as our ‘Technical Advisors’ to go out and educate other vets on our products, as well as give talks at veterinarian events. The veterinary practices we work with have access to technical advisors for any questions they may have and are fully trained on the use of our products. If you’re a vet, speak to your area manager for information. From speaking at BSAVA and TED talks to training vets around the world, our technical advisors are experts in their respective fields. Follow us on Facebook or Twitter for the latest news. We have a dedicated customer services department who continually monitor for feedback. They assess each query and pass on any comments to our quality team. 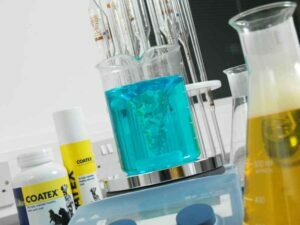 We’ll then investigate any issues and if necessary make changes to maintain the super-premium quality of our products. Our team consists of a multidisciplinary scientific team with the right blend of experience and expertise to consistently produce high quality products. With access to state of the art facilities on our GMP accredited manufacturing site, our team have everything they need to innovate. We also collaborate with some of the UK’s leading veterinary experts and academics in the UK, Europe, North America and Asia, all to provide the highest standard products that our customers have come to expect. 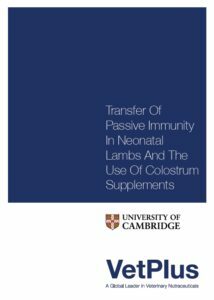 As part of this, we work with the UK’s top universities to carry out clinical trials to test the effectiveness of our products. You can find a list of the clinical trials we’ve carried out here.